Jovana Amović is bachelor of International and Comparative Law at American University in Bosnia and Herzegovina in Sarajevo since 2015. During studies she was engaged in political activism and volunteering. Her formal working experience Jovana started at Administrative Center of the City of East Sarajevo as intern/volunteer, where, besides general administrative work within Center’s departments, she worked as a translator and interpreter for English language for Mayor of the City of East Sarajevo. 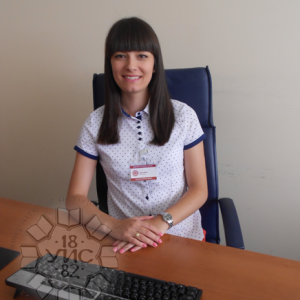 She continues her working experience within the company EYOF2017 LtD on the organization of European Youth Olympic Festival Sarajevo & East Sarajevo. Her main working tasks were related to creating legal documents, preparation of materials for the Executive and Organizational boards, implementation of project task, cooperation with the International Olympic Committee, translation of documents, and other administrative tasks. In the EYOF2017 LtD she acquired experience in international projects implementation, budget and timeframe management. Since December 2015 she works as Science and Research Coordinator at the University of East Sarajevo, where she performs tasks of implementation of national and international projects, preparation of project materials and applications, coordination with state and private institutions related to research projects, and other tasks. Jovana participated in several international conferences. She is the member of several project teams for several international projects financed by different international funds, with emphasis on ERASMUS+ and TEMPUS projects. Jovana is fluent in English. 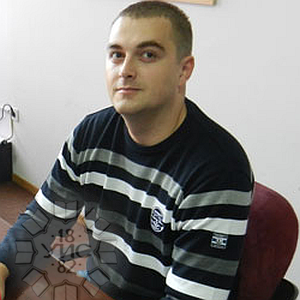 Todor Obradović is bachelor of Economy at the Faculty of Economics Pale where he studied in period from 2006 to 2010. He is employed at the Rectorate of the University of East Sarajevo since 2015 at the Department for Science, Research and Development. Among his regular tasks, in his work he participates in the implementation of international projects HORIZON2020, Tempus and ERASMUS+, as the Financial Officer. Also, he participated in several national and international conferences, with special emphasis on international conference „REDETE“ held in 2016 where he participated as coauthor of one paper. Todor speaks English language. Dajana Vukojević, Ph.D. in Geography, is an active researcher in the field of social geography. The fields of her scientific research work are social geography, tourism, and cultural tourism. She graduated in 2007, defending her graduate thesis “Touristic-geographic characteristics of Greece“ at the Faculty of Philosophy of the University of East Sarajevo. She defended her Master thesis “Touristic-geographic analysis of Trebinje” on 09.07.2010. also at the Faculty of Philosophy of the University of East Sarajevo. The doctoral dissertation titled “The role of tourism in the functional transformation of Republic of Srpska regional centers” was defended in 2014 at the Faculty of Philosophy of the University of East Sarajevo. During her work on the doctoral dissertation, she received a scholarship of the Ministry of Science and Technology of Republic of Srpska as the best scholar in the field of social sciences. She is the author of more than twenty scientific and professional papers. She participated (with a report) at several international and national scientific conferences. 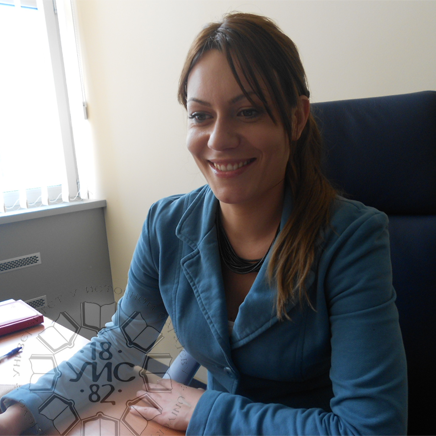 Dajana Vukojevic is experienced in coordinating and implementing projects. She participated in the implementation of several Tempus and Erasmus + projects. Also, she participated in the drafting of the European Charter of the University for Researchers and the Code of Practice for Researchers (Charter and Code). Dajana Vukojević has been employed as an associate at the Office for Science, Research and Development of the University of East Sarajevo. Also, Dajana Vukojević is an Assistant Professor at Dzemal Bijedić University in Mostar, an external associate. She is a member of the Organizing Committee of the Scientific Conference “Jahorina Business Days”. She is a member of the Serbian Geographic Society and Speleogenesis scientific network. She speaks English. Predrag Ždrale is master of economics. He graduated in 2008, and acquired his master’s degree in 2017 both at the Faculty of Economics Pale at the University of East Sarajevo, his master thesis is titled: “Problems and Perspectives of the Social Security Financing in Bosnia and Herzegovina”. 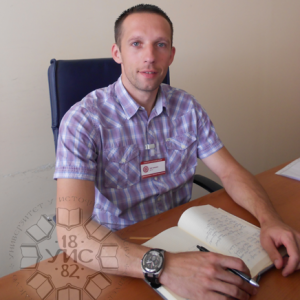 Predrag is employed at the University of East Sarajevo since 2009 as the Associate for Material Resources, and later as Senior Associate for Development of the University. He participated as a member of the project team in several Tempus and Erasmus+ projects. Also he participated at several national and international conferences. Predrag speaks English language.